If you’re not already using white noise for newborn posing, stop what you’re doing and buy a machine right now! They also make white noise apps, but I prefer a separate sound machine, as it doesn’t drain my phone battery. When shopping, look for one that has the continuous sound option, so it doesn’t need to be reset every 20, 30, or 40 minutes. This is, again, helpful for all newborns, but again, it’s so much more important with babies past that 10 day mark due to their increased interest in their surroundings, which can make it harder for them to sleep. I learned and lived by the rules, which was an important first step in my journey. Rules certainly have their place, as they create a safe place to explore new territory and learn. 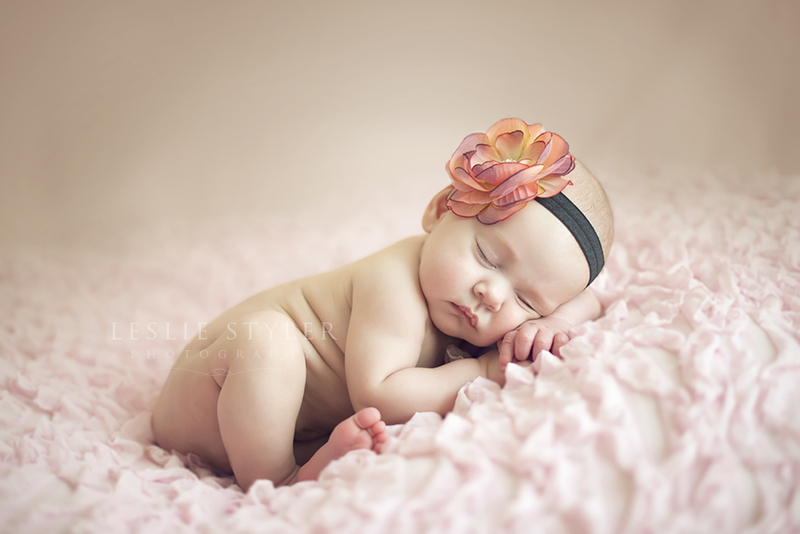 Sometimes babies older than 10 days get overstimulated and have some trouble falling asleep. When that happens, I have found heat to be the antidote. Thermostats should be set to at least 80, and that will help get the baby into a drowsy state, especially after being kept awake for 2 hours. I never compromise on the heat. I may be a sweating mess, but it’s the price of obtaining posed images for these babies. While heat is important for all newborn sessions, it’s absolutely crucial when the baby is beyond the usual time frame. 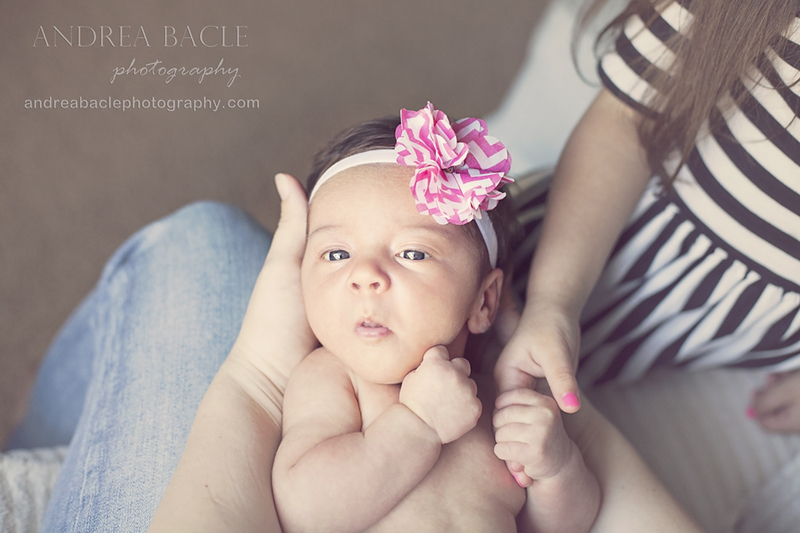 Here are 6 things I do when photographing a baby beyond 10 days old. When I began photographing newborns, I spent endless hours soaking up every bit of information I could find on how to do it effectively. Shortly after my babies began sleeping better, giving me much more confidence in my sessions, two things caused me to reconsider my stance on the window of time in which I would photograph a newborn. First, my own baby was born, and I wanted to pose him beyond the initial 10 days of his life without being limited to lifestyle (though I did want to capture lifestyle photos of him as well!). 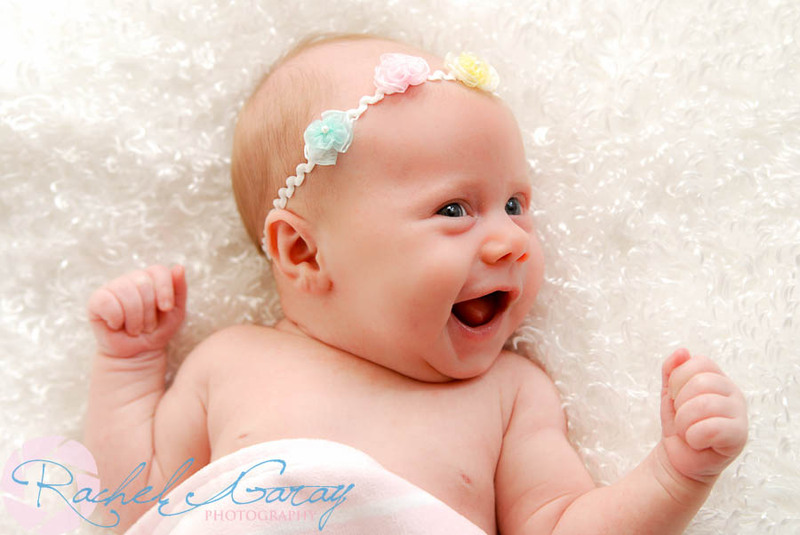 Second, a client contacted me to book a newborn session for her 25-day-old baby who she had adopted days before. She had her heart set on posed images, so where I would normally have offered a lifestyle session, I told this client I would give posing a try. I was so nervous. However, I altered my pre-session guidelines just slightly, and both endeavors were successful! In fact, I was still posing my own baby up to 8 weeks of age. I don’t necessarily recommend going that late with clients, as there are some advantages you have when you aren’t limited to a set start time. However, these two events opened my eyes to the fact that it is okay to try posing a baby after 10 days. I have now photographed many babies up to a month old, and have not yet had any issues that I haven’t seen with “newer” newborns. 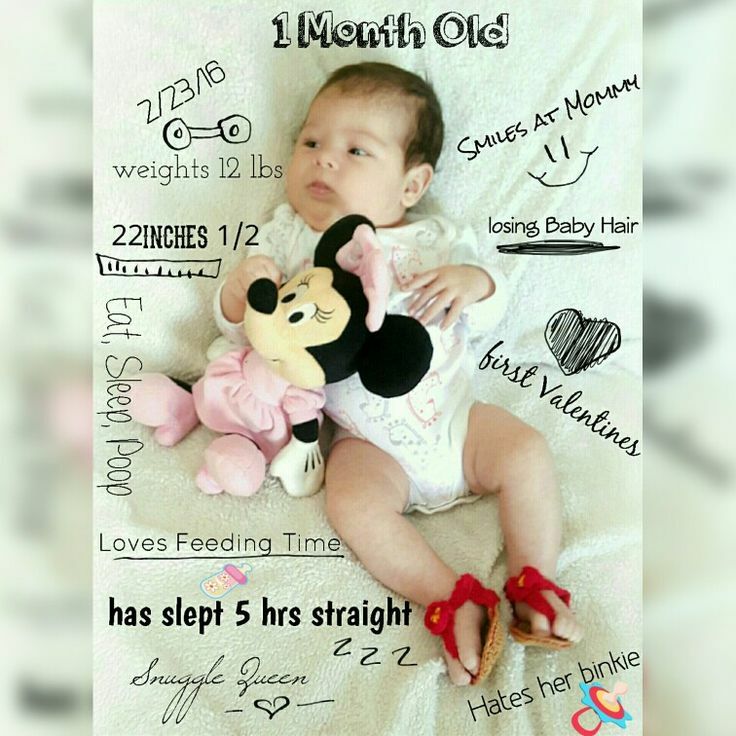 Some of these tips are simple and may seem obvious when stated, but I have found when I follow them, I’m able to work successfully with babies well beyond the 10-day mark. When accepting work from clients, I do make every effort to schedule the baby as early as possible. However, when I get a late booking from a mom whose baby is already born, or when scheduling simply doesn’t work out for one reason or another, I’m no longer afraid to work with babies even up to a month old. Before I get into the tips, I would like to say that staying within the 10 day window does still have advantages, and I am in no way saying that it is a rule that should be thrown to the wayside. All I am saying is that it is okay to experiment and find what works best for your circumstances. In my case, if I must schedule a session more than 10 days after a baby’s birth, I no longer panic. And for new moms and dads, there is no reason to feel limited to the posed style of baby photography within those first few days when, let’s face it, you’re the most exhausted and moms are still healing! Pre-session instructions are crucial to the success of posing any baby, but especially a baby who is older than 10 days. It is important for all parties involved to understand that failure to closely follow instructions may not result in the desired images. When photographing a baby in someone else’s home (such as a client), some things are hard to control. However, generally when a client is told just how important the instructions are, they will follow them. 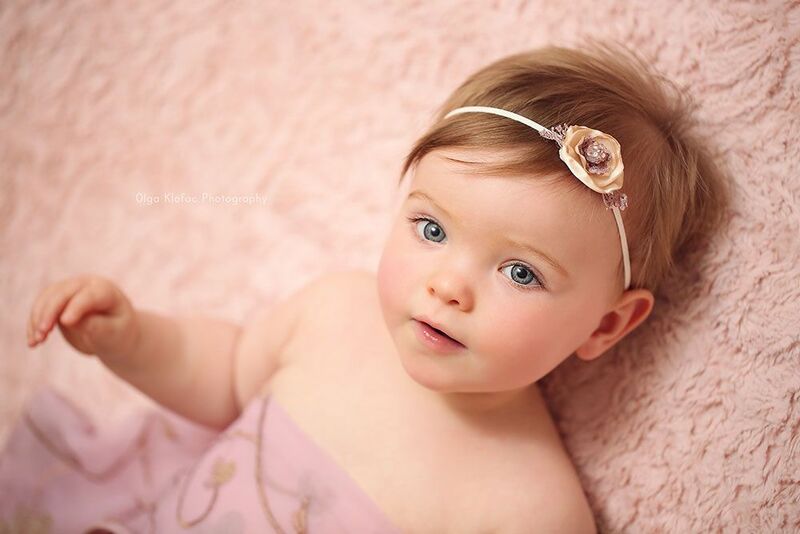 Of course, babies photograph pretty amazingly regardless of how posed they are. But if posed is the desired outcome, then the instructions should be followed closely. So have them to give, and give them. 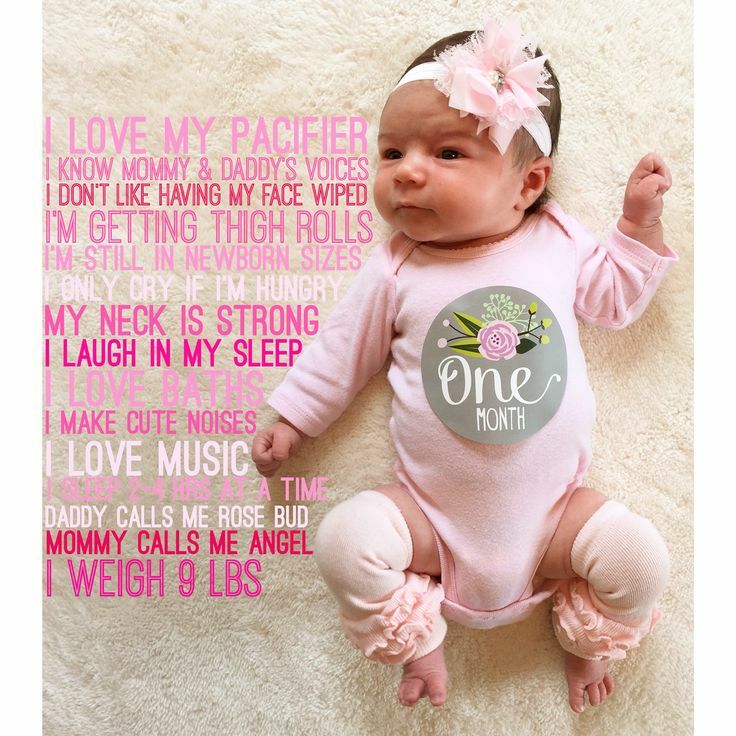 And when photographing your own baby, be sure to use them! If all of the above has been done and baby still is not settling, try wrapping. Wrapping does not need to be limited to swaddling, but can be very creative! There are some great guides out there to help with ideas. 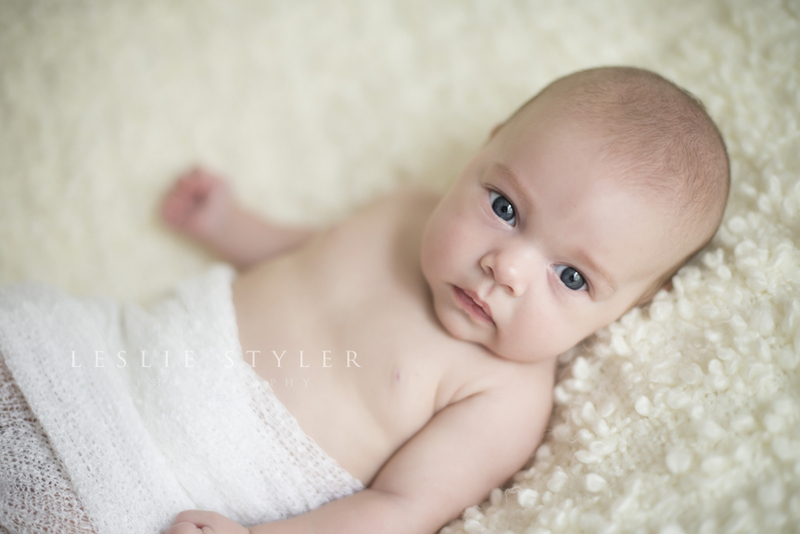 I will often pose a baby in a traditional newborn pose, then add a wrap to keep the baby feeling secure. Or, I’ll wrap the baby first, then challenge myself to figure out what kind of poses can be done with the wrap remaining in place. Wrapping is a great way to get gorgeous setups even when naked baby posing isn’t possible. Some babies become fussy around the 2 week mark (often due to gas or reflux). As such, it’s so important to be able to read a baby’s body language. Every baby operates differently, but there are some universal soothing techniques that seem to work for most babies. I am a huge fan of the “Happiest Baby on the Block” book by Dr. Harvey Karp. I have used the techniques discussed in this book both in my own children as well as in my newborn sessions. The guidance in this book works really well, and I highly recommend it as a starting point. For someone photographing their own baby, this is easier to accomplish. When I was working with my own baby, I would pick a day to set up my posing area exactly how I wanted it for the photographs. I would then wait until my baby was sound asleep after he had been awake more than 2 hours. I never had to make an effort to keep him awake – instead I worked with his natural schedule. When clients are working with a set start time, they may need to try various tactics like baths, singing, and sometimes simply leaving baby unswaddled does the trick. Beyond the book, I try to work very slowly with babies – I don’t rush them into any poses, and I take time to make sure they stay comfortable throughout the session. When babies cry during their session, it is stressful on everyone, so my goal is to avoid that as much as possible. Sometimes crying cannot be avoided, but I’ve learned there are things I can do preemptively to make sure the baby does not become upset. It’s also important to learn the difference between a true cry of discomfort and one of agitation over being moved. Yet, as we grow, inching our way closer and closer to the boundaries of the rules that have been set, sometimes those very rules that shelter us can thwart our progress. At that point, it’s time to examine the rules, determining whether it makes sense to alter some of the rules, or even abandon them entirely. After my difficult session, I was even more determined to make that 10-day window, regardless of what it took. But then my babies newer than 10 days old stopped sleeping, and I realized it was time to work on my session skills. I made learning to keep babies happy and deeply asleep my first priority, because I quickly realized that if the baby would not sleep and was unhappy the entire session, then none of the knowledge I gained about posing and lighting mattered. It was during this time that I seriously questioned my ability to become a newborn photographer. However, instead of quitting, I focused on becoming a baby whisperer. Once I was able to achieve that goal, my babies started sleeping much better. When a baby is over 10 days old, I prefer that the baby has been awake for at least 2 hours prior to the session. Two hours is a long time for a newborn to stay awake, and usually they are exhausted and ready for a nap afterwards. 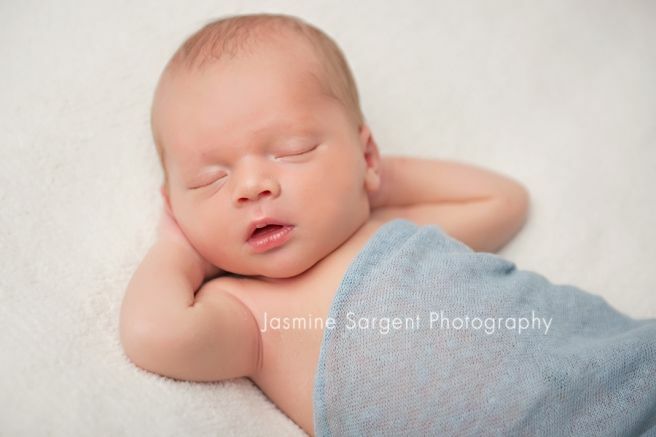 Newborn photography, as it should, has a lot of rules surrounding how it should be executed. These rules cover everything from setting a proper environment for the baby, to posing, to parent preparation, and more. One of the many rules I had always heard and read was to never photograph a baby older than 10 days old. As someone who works a full-time job in addition to taking on clients for my photography business, this was very challenging for me, and I worried about whether I could always succeed at photographing the baby in such a short window. I also had nightmares of babies who did nothing but scream when scheduled beyond the 10 day mark. The one time I ended up photographing a 14-day-old baby in those early days, it didn’t go well, and I was positive it was because I waited too long when, in reality, I simply had a thing or two (or three!) to learn about being proactive when it comes to keeping babies happy throughout their sessions.